The Design Studio is located in Whiteley, Hampshire. 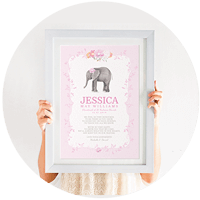 We work with small businesses to create memorable branding and stationery. We love taking an initial brief or concept and transforming it into something amazing. What we thrive from is hearing we have positively affected a clients business. Please contact us for a design consultation and pricing options. Absolutely amazing company. Asked for a new logo to be designed from scratch. I had a few ideas from Pinterest that I like elements of each. Laura kindly merged all of those designs together and came up with a fabulous and unique design perfectly suited to me and my business. Endless revisions and me changing my mind back and forth did not seem to phase her. Money very well spent. Highly recommended! Thank you! You will receive a 10% off discount code, new product alerts and offers.